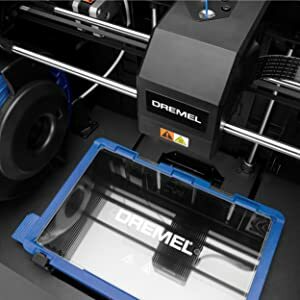 The Dremel 3D45 is the most reliable and easiest-to-use 3D printer for advanced users in higher education and corporations. 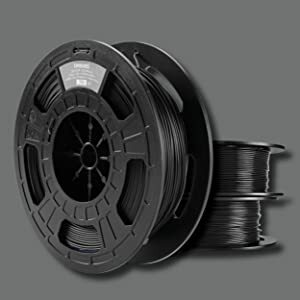 You can now use expanded filament types like nylon and eco-ABS. 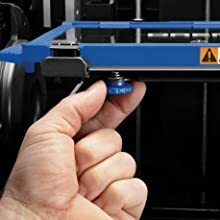 To make things easier, the 3D45 has filament detection via RFID that enables the printer to automatically recognize and change settings for optimized printing. With new features like a heated bed and an integrated camera, you can take 3D printing to the next level. With the 3D45 comes the web-based slicing and printing program that allows you to directly print via wifi or ethernet connection. The 3D45 comes backed by the industry‰۪s best 1-year warranty and the world-class Dremel support team. There is nothing worse than an extruder clogging up. Based on Dremel's proprietary sensor technology, the 3D45 is engineered to run as smooth as butter and resist clogging. We want you to make, not repair. Advanced materials like nylon and eco-ABS can mimic the properties of functional injection-molded parts. The 3D45 has a heated plate and an even more robust extruder to allow for printing these advanced materials. 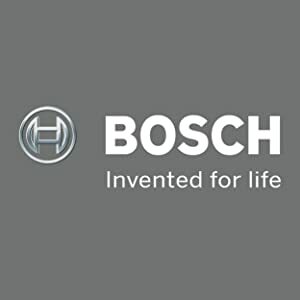 Dremel is part of the Bosch Group, one of the world's top engineering firms which comes out with 22 patents per working day. Designed by and for Bosch engineers, the 3D45 enables development of their next generation innovations. 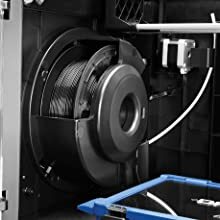 Dremel's 3D45 is the only 3D printer that will automatically update the g-code for optimal extruder & build plate temperatures, in addition to print speeds & feeds by recognizing Dremel's RFID-equipped filament rolls. 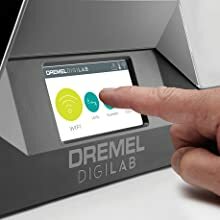 Every 3D45 3D printer is wifi-enabled and part of the Dremel Print Cloud. This web-based application allows users to slice files online and print directly to their 3D45 from anywhere there is an internet connection. The 3D45 incorporates smart sensor technology, allowing effortless, accurate calibrations, and easy set-up. The touch screen shows you in real time how to precisely level the plate with just the turn of a knob. 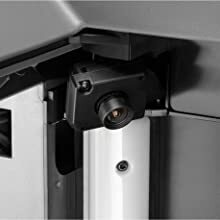 Inside the 3D45 is a 720p HD camera that can be used for fleet management and capturing time lapse videos. Connecting to the Dremel Print Cloud allows makerspace supervisors the ability to visually manage their fleet offsite.